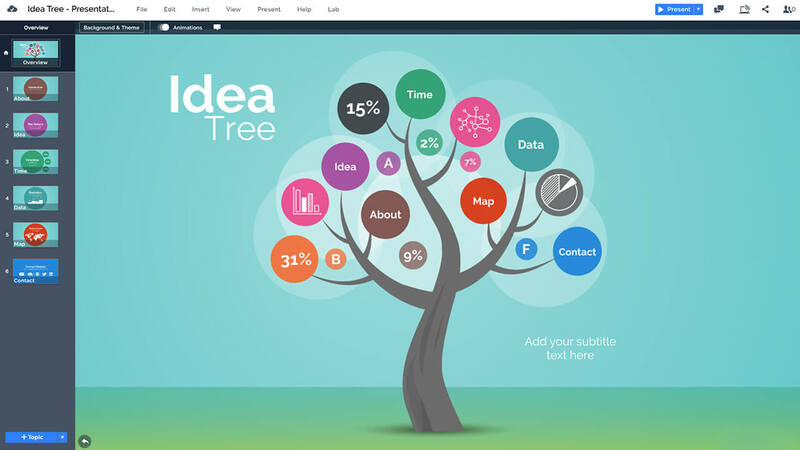 Grow your ideas on this tree diagram presentation. A template with a custom tree shaped mind map graphic. Adjust the color and size of all the elements and make yourself a presentation with a classic tree concept. The overview slide includes a placeholder for your presentation title and subtitle on a green-blue background color. Easily adjust the color of the background or add an image as a replacement. Make a mind map or create an infographic tree and present facts or statistics. Adjust the color of each topic so different slides could be more memorable. Add your own text titles or symbols into the circles – the design possibilities are endless. Both a Prezi and PowerPoint versions of the presentation are included in the template. So what are you waiting for… plant your ideas, make the roots grow into a tall tree and harvest the fruits of your creativity! 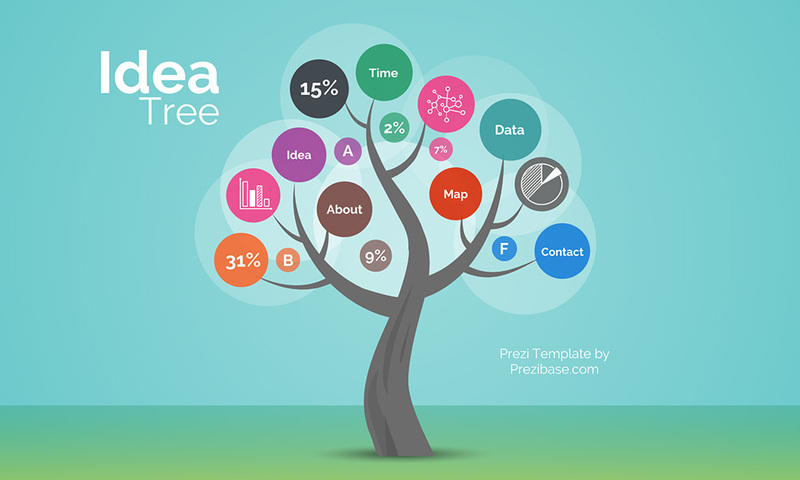 If you hate prezi, then you’ll love this – a PowerPoint version of the Tree Diagram presentation template is also included in the purchase. 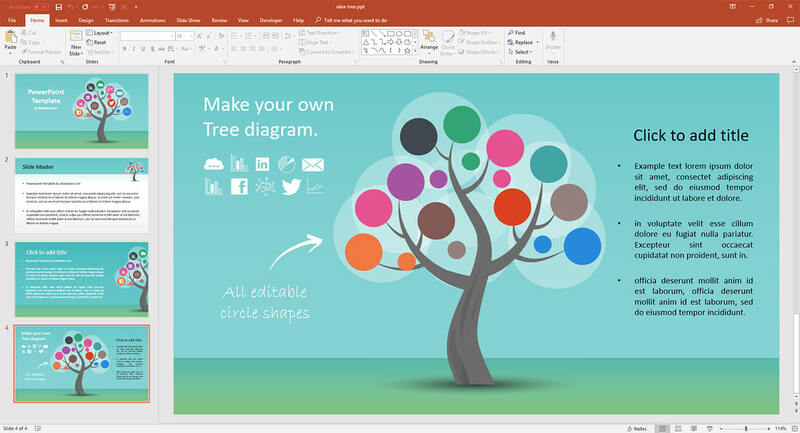 16:9 slide ratio with multiple example design layouts included for building your own custom tree diagram in PowerPoint. This entry was posted in Best Prezi presentation templates, Prezi Next Templates and tagged colorful tree diagram, creative tree presentation, diagram tree maker, family tree presentation, idea tree mind map, infographic tree presentation, onlin tree diagram maker, oxigen production, presentation 3d infographic, prezi next tree template, template infographic tree, template tree infographic, tree, tree concept presentation, tree diagram, tree diagram presentation, tree diagram template, tree of ideas, tree presentation template, tree shape presentation diagram.